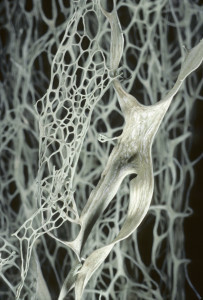 Lace lichen (Ramalina menziesii) is a long (up to 1 meter), fruticose lichen with an intricate netted structure. It has flat, pale yellowish-green branches that hang from trees, often forming large clumps. Occasionally, lace lichen has apothecia. It can be found in western North America from central Baja California to southern Alaska. There are only a few other lichens of similar color that hang from trees in this region. None of them have the intricate lacey structure of lace lichen. 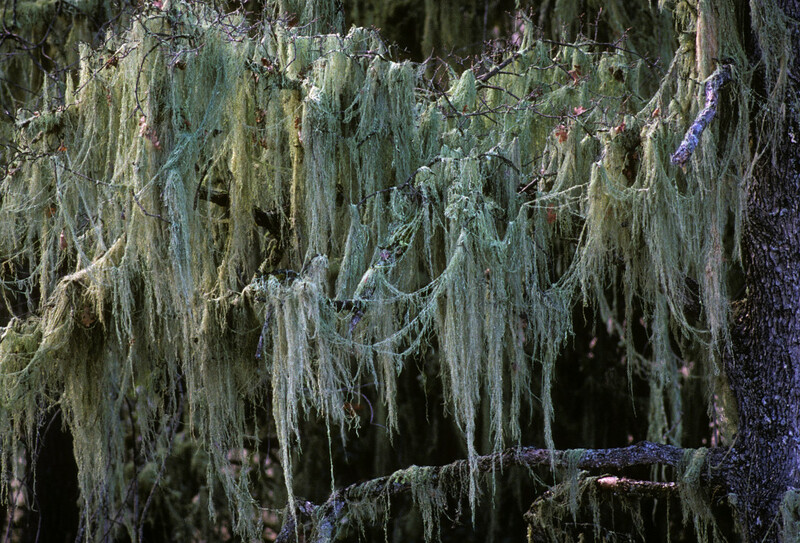 Beard lichens (species in the genus Usnea) also hang in large clumps throughout the range of lace lichen; however, beard lichens have round branches with a tough central cord that is somewhat elastic when wet. In northern parts of the lace lichen range, large bunches of witch’s hair lichens (species in the genus Alectoria) might look similar to lace lichen from a distance. To see where other people have been observing lace lichen – and to find out where you can go to see it, too! 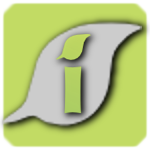 – check out the species observations on iNaturalist.